Supply Chain is a leading area for digital initiatives and investment in 2019. Find out how to leverage Supply Chain in your digital transformation and avoid common pitfalls along the way. Last month, Deloitte released a short series of blogs titled “The Industry 4.0 Paradox” where they analyzed the results of a widespread survey on how major industries were investing in Industry 4.0. The results revealed a number of paradoxes that are altogether not so uncommon. From an IoT company that has worked on the frontline of digital transformation over the last six years, these findings are commonplace, if not inherent to any man-made institution. Despite the familiarity with the above findings, there was one paradox that stood out as a valuable insight worthy of a closer look: The Supply Chain Paradox. In this article, we will explore the rising role of the Supply Chain in the context of digital transformation and provide 4 steps to ensuring the success of your company’s digital strategy in 2019. Supply Chains are as complex as they are global as they are competitive. Competition is driven by the pursuit of greater efficiency, a variable which will be sought until it can be sought no more. Until physics itself is the only obstacle slowing the journey of raw materials to end customers. The survey asked 361 C-level executives from manufacturing industries like aerospace, automotives, oil and gas, etc. to rank various business areas of their organization by order of importance for current and future digital initiatives. Supply Chain was rated as the highest priority for future digital investment as well as one of the top areas where digital transformation was underway. As a Bluetooth solution provider, we have seen the increasing interest in digital technologies across the Supply Chain first hand. 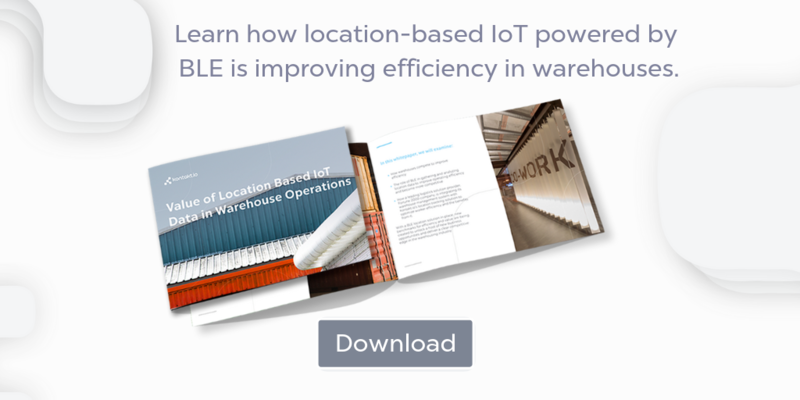 In a recent white paper, Kontakt.io demonstrated how a global logistics provider is deploying BLE location tracking technology to increase worker efficiency by as much as 20% in the Value of Location Based IoT in Warehouses. This company has a clear digital strategy and is an innovator in a range of Supply Chain services, affirming that the race for digital transformation is in full swing. The digital transformation of Supply Chain is well underway and will continue far into the future. The Supply Chain Paradox is based on the fact that in 2019, Supply Chain is a top priority for digital investment and innovation, yet is not seen as an area capable of driving that innovation nor worthy of participation from the CSCO in the discussion of how the budget should be spent. The authors offer some practical solutions for improving this like involving the CSCO in decision making and training them to think more strategically. Approaching digital transformation like another technology project rather than an opportunity to build a digital business model of tomorrow. Six years of experience on the cutting edge of IoT technology has shown us that it is the people, not the technology, that curb digital growth and value creation. This is the result of a general lack of long-term vision. Digital transformation requires the ability to evaluate, plan, act and follow through with a long-term vision for digital success. 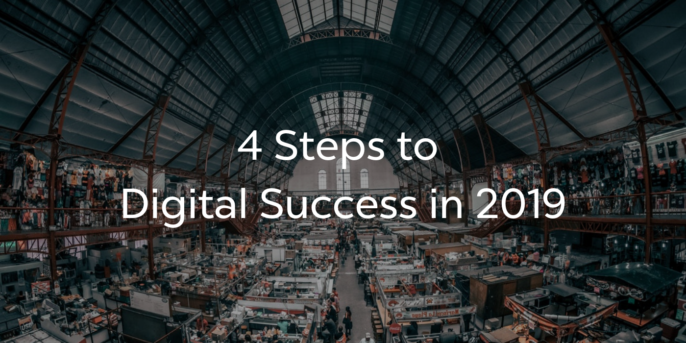 In 2019, it is as critical as ever to create a digital strategy for your business. Competition is fierce, organizations are moving fast, and technology is lifting off. If you are unsure how you should be prioritizing your digital investments, you can take a hint from similar industries. Evaluate which business areas have the potential to bring your company sustained, long-term advantages in your field and go from there. Unlike a technology upgrade, the road to digital transformation begins with the participation of all relevant stakeholders. Gather heads of all relevant departments for an innovation workshop with the goal of developing 2-3 ideas to build business cases around. Look around to see who is already doing what. In Supply Chain, Bluetooth is already enabling countless business cases and creating a strong foundation for companies to expand digital solutions across departments. Find a little inspiration here. In the context of digital transformation, all three of these are highly relevant. Awareness of industry trends and company performance permits the development of a quality, informed plan that the company can believe in, stand behind and get excited about. Don’t. Slow. Momentum. Once everyone is onboard with the digital vision, push ahead. Schedule follow-ups and deliverables. There is no doubt that the road to digital transformation is a difficult one filled with knowledge gaps, growing pains and other risks. But the full potential of a digital solution can take time to realize, so persevere. Prioritize areas of your business for future digital investment, create a long-term vision for digital strategy, choose a business case, and stick with it. Oh, and start now.